The Philadelphia 76ers say Bryan Colangelo has resigned as president of basketball operations after an independent firm investigated allegations that he used a variety of Twitter accounts to anonymously trash some of his own players and fellow executives and defend himself against criticism from fans and the sports media. When Averill “Ace” Pippens received a call about becoming a head coach and general manager of a semi-professional basketball team, he had no hesitation. “It was a no-brainer,” said Pippens. Pippens, a coach of local basketball teams for 14 years, said the call came from a former player, about a new team called the Steel City Yellow Jackets. The NCAA will host more prestigious college tournaments in the Pittsburgh region over the next four years than any other, Visit Pittsburgh officials announced Wednesday. The Steel City will welcome 22 events, from Division III men’s and women cross country regionals in 2020 to the 2021 Division I men’s hockey championship, dubbed the Frozen Four. On Sunday Night, the Cleveland Cavaliers beat the Golden State Warriors and took home the NBA championship. It was the Cavs' first-ever NBA title. It fulfilled a promise LeBron James made two years ago, when he returned to his hometown and swore he'd win them a championship. 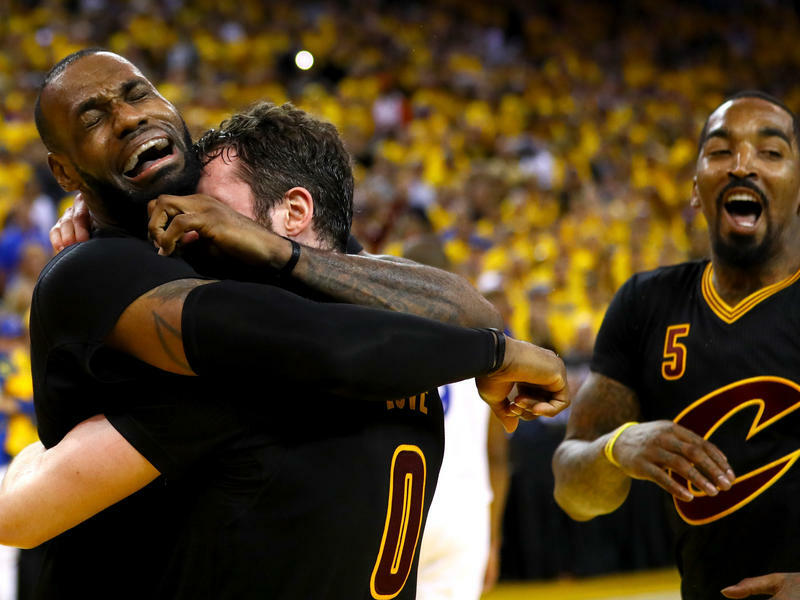 For the first time, the Cleveland Cavaliers are NBA champions. The Cavs defeated the Golden State Warriors 93-89 in Game 7 to win the title. 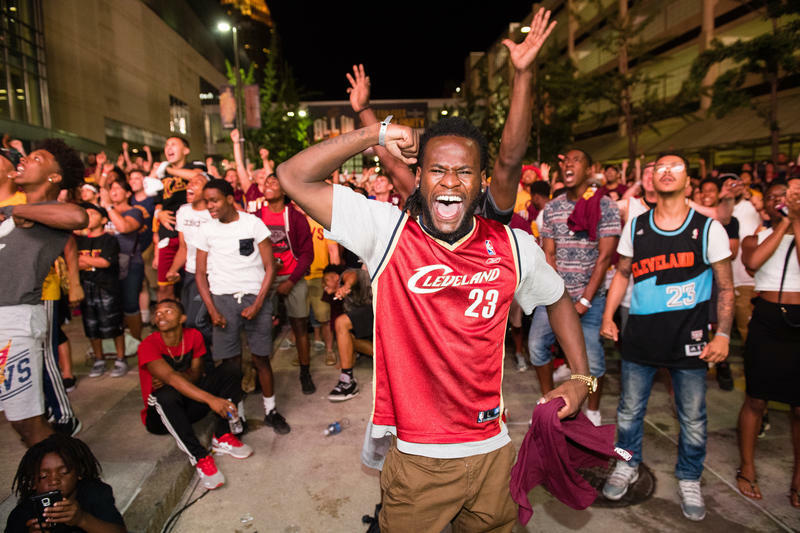 It's the city's first major sports championship since the Browns won the NFL championship in 1964. "We made history tonight," Cavs coach Tyronn Lue said. Anticipation is rising as the University of Pittsburgh Panthers and Duquesne University Dukes basketball teams clash in the annual City Game on Friday night, a Pittsburgh tradition which dates back to 1932. With so much at stake for bragging rights, former Pitt point guard and current assistant coach Brandin Knight, and former Duquesne forward, Robert Morris University coach, and now color commentator for Duke’s basketball radio broadcasts Jarrett Durham previewed the matchup with Essential Pittsburgh’s Paul Guggenheimer. Despite not having a professional team, basketball is expected to bring big bucks to the city of Pittsburgh this weekend. Tourism agency VisitPittsburgh projects as much as $7 million will be pumped into the local economy thanks to the NCAA Division I Men’s Basketball Championships at the Consol Energy Center on March 19 and 21. Chuck Cooper was a Duquesne University basketball star who became the first African-American drafted by an NBA team when he was selected in the second round by the Boston Celtics on April 29, 1950. In 2011, the Chuck Cooper Foundation was established in tribute to his legacy. The foundation presents its annual Leadership, Diversity and Community Service Award this week. Joining us to discuss the legacy of Chuck Cooper is his son Chuck Cooper III. Cooper explains that, like many other young men who played basketball in Pittsburgh, his father developed his skills as an adolescent at Mellon Park in Point Breeze. Once in college, he says, the elder Cooper had a great amount of respect for Duquesne University, in part because of an incident involving the University of Tennessee’s basketball team in the late 1940s. The Tennessee team traveled to Pittsburgh but refused to play the Dukes if Cooper would be included on the court. In the face of this prejudice, Duquesne didn’t back down, and the Dukes management sent the Tennessee team back home without a game. This gesture of respect and solidarity meant a lot to Cooper, his son explains. In 1988, a team of juvenile delinquents in Western Pennsylvania achieved the unexpected title of regional basketball champions. The story is told in the book All the Way Down: Changing Hearts and Minds by Robert Burnett. Burnett was both coach and principal of at the Frew Mill School he talked about the team’s story and the impact it had on everyone around them. Getting into the excitement of March Madness, Carlow University has announced that starting in the fall of 2014, the once-all-girl’s school’s first men’s basketball team will take the court. The Carlow University Celtics will compete in the National Association of Intercollegiate Athletics (NAIA). Pittsburgh Post Gazette sports writer emeritus a.k.a. our Sports Guy, Bob Dvorchak comments on the 2024 Olympics coming to Pittsburgh, the Steelers' locker room blow up and how about an NBA team for Pittsburgh?